Trei is instantly sky-mad, and desperate to be a kajurai himself. The only one who fully understands his passion is é, his newfound cousin. Prickly, sarcastic, and gifted, Araené has a secret of her own … a dream a girl cannot attain. Trei and Araené quickly become conspirators as they pursue their individual paths. But neither suspects that their lives will be deeply entwined, and that the fate of the Floating Islands will lie in their hands. “The Floating Islands lacks for nothing. It has dragons in it – everyone’s favorite mythological creature – politics, and, best of all, two protagonists to get behind. I already know I’ll be re-reading this one, multiple times, in the future and I’m sure that each time, I’ll discover something new to love”. 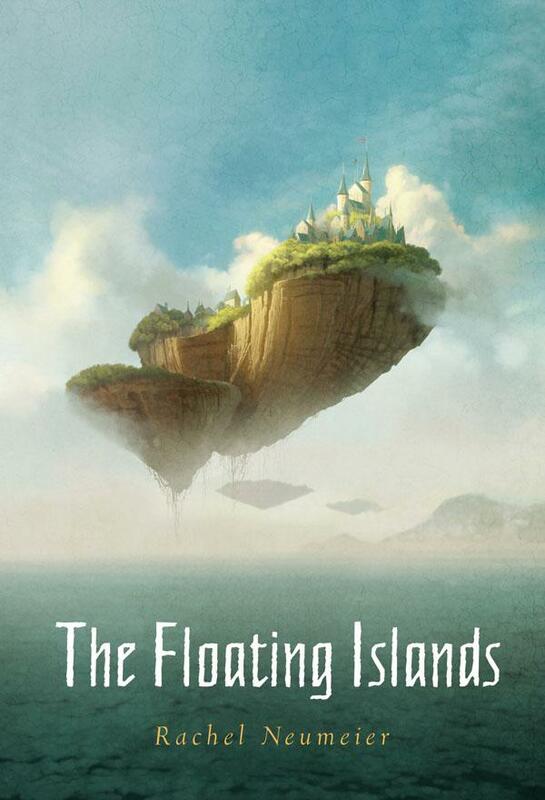 Random House decided they wanted standalones from me instead of sequels, which is ooookay, I guess, but *I* want a sequel to The Floating Islands, so I guarantee there will indeed be one. But it may be a few years. I literally just finished your book and you totally left us hanging towards the end there, like what will the Toulunese do next?!! I would LOVE a sequel! Landon, I’m glad you’d like a sequel, because there WILL be one — eventually! But I’m not sure when, because Random House decided they wanted standalones for the next couple of my books for them. I do absolutely guarantee a sequel *sometime*, though. Maybe a third book, too, but that I don’t promise. I just finished the book and went straight online to see if there’s a second one! Please write one soon I LOVED it so much! Thank you so much, Gabriella! *Some* day there will definitely be a second book and maybe a third, but Random House wanted single books rather than sequels from me for right now. So unfortunately it might be several years yet efore the second book actually appears on shelves. It’ll pick up practically where the first book left off, though, and feature the same characters, and I sure hope that everyone who loved the first book will keep an eye out for it. Is there any feedback in particular you want from readers such as myself for the “someday” sequel? I’d love to provide ideas and help build the story surrounding the floating islands and I feel that much of the community of readers would be enthusiastic to help you create what has been one of my favorite books. I read a lot and this book really took me by surprise with how much I loved it! Please email me or let me know if I can help in any way. Thank you so much for the creation of such a fantastic book. The people who fly are called kajuraihi, singular kajurai. Kajurai culture just means the specific culture of those people who are trained to fly; it’s like saying “military culture” or something like that. great book i just finished yesterday are you going to release the other sequel? Very pleased you loved it; a sequel will appear eventually, but alas, probably not *very* soon. Loved the book! Needs a sequel! I will be watching for one! I don’t exactly know how I found this book, but I’m glad I did. For people who haven’t read it yet, you’re missing out…. Also, it would be awesome if someone with a gift for art/drawing (unlike me) could make drawings about some of the events in the book, that would be amazing. Thank you, Brandon! A sequel is sitting right here, so eventually it will be released. ButI would like Random House to be the one to bring it out rather than doing it myself, so I really cannot say when that might happen. But I’m happy to know that people would like to read a sequel!